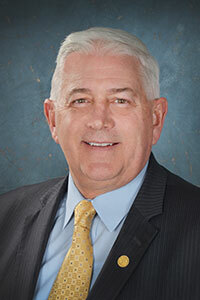 LANSING, Mich. — State Sen. Ken Horn on Friday announced his committee chairmanships for the upcoming legislative term in the Michigan Senate. Horn will chair the newly formed Senate Economic and Small Business Development Committee — which is a combination of the Economic Development and International Investment, Commerce, and Michigan Competitiveness committees from the previous term. Additionally, Horn will chair two Senate Appropriations Subcommittees, Capital Outlay and Talent and Economic Development/MEDC. When committee memberships are announced, Horn says he hopes to play a key role in the areas of education and career readiness because Michigan’s regrowth must include filling our talent shortage, and educational opportunities for students are key. Horn says he is confident such initiatives will help continue Michigan’s resurgence.